On the Costa de Luz in the beautiful region of Andalusia, El Puerto de Santa Maria makes the perfect location for your Spanish course! Very popular amongst Spanish tourists, El Puerto remains largely undiscovered by foreign tourists, making it the perfect choice for those wishing to immerse themselves in the Spanish language and experience the ‘real’ Spain. Although a smaller location, El Puerto has plenty to keep you occupied, from historic architecture, to stunning beaches and a fantastic nightlife! El Puerto is also famous for its gastronomy and, thanks to its location on the coast, offers some of the freshest seafood! This area is also famous for its sherry production! 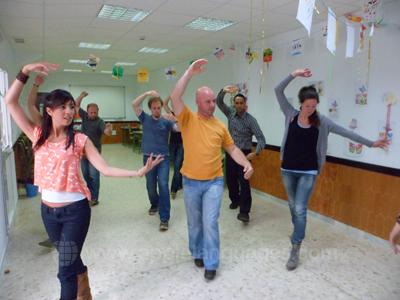 There are plenty of opportunities to delve into the local culture, including the Flamenco and Sevillanas dances! 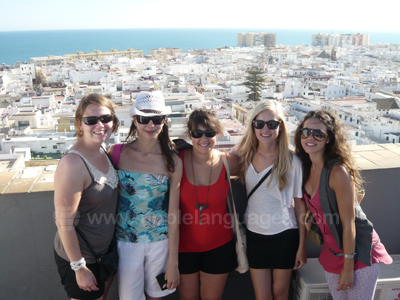 Our Spanish school in El Puerto is very conveniently located, just 10 minutes’ walk from the centre. Close to our school you will find many shops, restaurants and bars and both the Playa Puntilla and El Puerto’s famous bullring are also nearby! Our school has 7 well-equipped classrooms, a conference room and a student lounge. 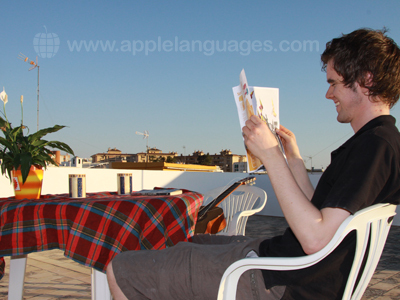 During the summer months (July and August), our school in El Puerto offer Intensive group courses, consisting of 20 general Spanish lessons each week. 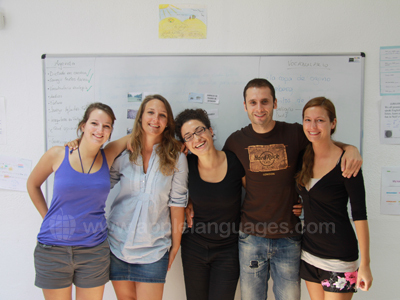 This is an ideal choice if you wish to improve your overall level of Spanish, learn in the company of fellow language enthusiasts and have plenty of time to explore the local area! We also offer ‘Intensive plus Private Lessons’ courses, which combine group lessons with one-to-one tuition. For the rest of the year, you can take Private Lessons at our school in El Puerto. This gives you a more personalised learning approach, and allows you to tailor your course to meet your exact needs. You can choose to stay with local Spanish host families on a half-board or full-board basis. This is the best option for students wishing to immerse themselves fully into the language and experience the Spanish way of life first-hand! We can also arrange shared apartment accommodation in El Puerto, which is ideal for those who wish to have more independence, but also meet other students and locals. Apartments usually consist of a private bedroom, with shared bathroom, kitchen and living room facilities. As well as shared apartment and host family accommodation, our school also offers its own on-site residence accommodation where you can choose between a shared or a private bathroom. This accommodation is offered on a self-catering basis, which means that you will have full access to the two communal kitchens to prepare meals. There is also a communal dining room and a TV room where you can watch Spanish films and television! The residence offers wireless Internet access throughout. El Puerto offers many fantastic opportunities to experience the local culture and our colleagues at the school also arrange a cultural activities programme to help with this! The cultural activities are also a fantastic way to meet other students and, as most of our students travel alone, you are sure to make plenty of friends from all over the world! Examples of typical activities arranged include welcome drinks on the first evening, beach activities, Spanish pub quizzes, Spanish film nights, boat-trips to Cadiz, ‘bodega crawls’ and excursions to places such as Seville. Some activities may be included in the course price, whilst others will incur a small charge payable directly to the school, usually for things like entrance fees and transport. All activities are optional. Fly into Jerez Airport. Transfers from the airport to El Puerto de Santa Maria can be arranged for an additional fee. El Puerto – why you won’t have a moment to spare!